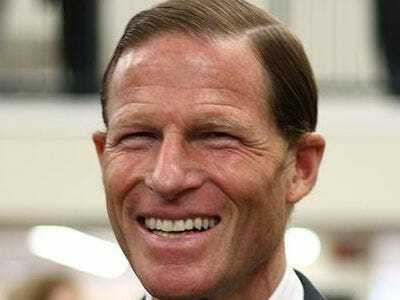 Connecticute AG Richard Blumenthal is in great shape in the polls for his Senate Race, and he has another card that his opponents can’t play: he can keep making politically popular moves. His latest — per a flash on CNBC — is a new lawsuit against S&P and Moody’s for “tainted ratings.” We’re not sure what the details are, or whether it’s nonsense or not, but it really doesn’t matter. Everyone hates the ratings agencies, and he’s in a position to go after them.